The former British Prime Minister died at home from a stroke on Monday, aged 87 and Meryl – who memorably played her in the 2011 biopic 'The Iron Lady' paid tribute to the late politician for working her way to the top against the odds. In a statement to the BBC, she said: "Margaret Thatcher was a pioneer, willingly or unwillingly, for the role of women in politics. "But to me she was a figure of awe for her personal strength and grit. To have come up, legitimately, through the ranks of the British political system, class bound and gender phobic as it was, in the time that she did and the way that she did, was a formidable achievement. 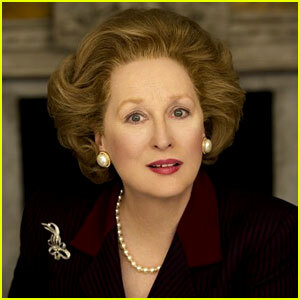 Meryl also praised Baroness Thatcher for being a role model for women all over the world.